The SPRING Project is designed to increase options for affordable, high-quality psychotherapy for mothers and their families experiencing prenatal or postpartum anxiety and depression. The project is an outreach initiative sponsored by the Contemporary Freudian Society, an interdisciplinary psychoanalytic member organization. The Project aims to increase links between primary care and health care providers working with new mothers so that vulnerable mothers are identified and more likely to get access to the mental health help they need. The fifty-plus network therapists participating are licensed mental health professionals with special training in the treatment of perinatal mood disorders. The Project offers help in New York City, Baltimore and the Washington, DC metropolitan areas and New Jersey. 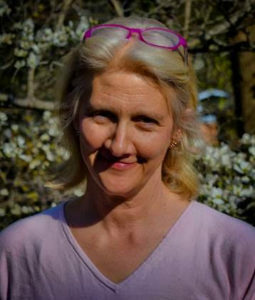 Elizabeth Fritsch, Ph.D. is the Director of the SPRING Project. She is a licensed clinical psychologist and psychoanalyst with a clinical practice in McLean, Virginia. She has an expertise in individual and couples psychotherapy and has taught at the George Washington University Psy.D. Program and the Washington School of Psychiatry. She is a past President of the Contemporary Freudian Society (CFS) and a Training and Supervising Analyst with the Psychoanalytic Training Institute of the CFS. Dr. Fritsch is a member of Postpartum Support International (PSI) and has completed PSI’s Perinatal Mood Disorders Certificate Program. Laura Hickok, Ph.D., DC Co-Chair of the SPRING Project, is a licensed clinical psychologist and psychoanalyst with a practice in Bethesda Maryland. She sees individuals, of all ages, couples and families in short and long term psychotherapy. Dr. Hickok is a member of the Contemporary Freudian Society and has been a clinical faculty member of the George Washington University Psy.D. Program. Ferne Traeger, LCSW, MBA, NY Co-Chair of the SPRING Project, is a psychotherapist/psychoanalyst and an executive coach in private practice in NYC. She is the Founder of Beyond the Boardroom, a consultancy whose mission is to support organizations in their efforts to develop family friendly cultures. She combines her many years’ experience in clinical practice and business management to assist individuals and couples with personal and professional transitions. Ms. Traeger is a Training and Supervising Analyst at The Contemporary Freudian Society (CFS). She has taught at The Psychoanalytic Training Institute of The Contemporary Freudian Society, Beth Israel Medical Center, and The New York Counseling and Clinical Social Work Service. She is a member of Postpartum Support International (PSI) and has completed PSI’s Perinatal Mood Disorders Certificate Program. 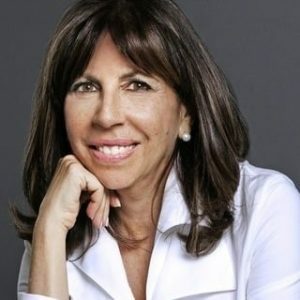 Phyllis Ackman, Ph.D. is a developmental and clinical psychologist with a clinical practice in New York City and sees adults, mothers and infants. She is a Training and Supervising Psychoanalyst with the Institute of the Contemporary Freudian Society. She created a Mother-Infant and Toddler Nursery at Pace University, supervised and consulted at a number of Early HeadStart centers and was a senior faculty member of the Infancy and toddler Training Program at the JBFCS. 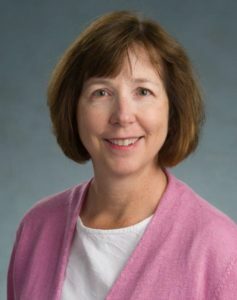 She has been involved in maternal post-partum research programs and, currently, is especially interested in perinatal mood and anxiety problems. Judith Schifter Alter, Ph.D. is a licensed clinical psychologist and psychoanalyst with a clinical practice in Bethesda, Maryland. She works with individuals, couples and families. She is a member of the Contemporary Freudian Society. Dr. Alter has over 15 years of international and local community outreach experience with underserved and at-risk children and their families. Bonnie Asnes, LCSW, Northern New Jersey Coordinator of the SPRING Project, is a psychotherapist/psychoanalyst and a Training and Supervising Analyst of the Contemporary Freudian Society (CFS). She has taught in the Institute of CFS’s Psychotherapy Program. Her clinical experience includes leading groups of mothers and mother-infant groups in a nursery school setting. She maintains a private practice in Englewood, New Jersey and on the Upper East Side of Manhattan where she sees adult patients in psychoanalysis and psychotherapy as well as adolescents and young children. She also provides parent guidance and works with parent-child pairs and with couples. McKenzie Casad, LCSW is a licensed clinical social worker with a clinical practice in Richmond, Virginia. She is an advanced psychoanalytic candidate with the PTI of the Contemporary Freudian Society. She has an expertise in individual psychotherapy working with adults and mothers and infants. She is a co-coordinator of Postpartum Support Virginia and has completed PSI’s Perinatal Mood Disorders Certificate Program. Judith Chertoff, MD is a psychiatrist and psychoanalyst with a clinical practice in North Bethesda, Maryland. Her training in Child and Adolescent as well as Adult Psychoanalysis provides her with expertise in parent counseling and an in depth knowledge of child development. As Clinical Professor of Psychiatry at George Washington University and Associate Clinical Professor of Psychiatry at Georgetown she teaches psychiatric residents. She also teaches and trains candidates at the Baltimore-Washington Center for Psychoanalysis and Psychotherapy and the Washington Center for Psychoanalysis and is an active member of the Contemporary Freudian Society. Her areas of expertise include child development, trauma and female psychology. Julie Eill, PsyD, a licensed clinical psychologist, is in private practice in Alexandria, Virginia. She works with Individuals of all ages, as well as parents and families. Dr. Eill is also part of the faculty for New Directions, a writing program offered through the Washington Center for Psychoanalysis. Eric D.P. Fielding, Ph.D., Baltimore Coordinator of the SPRING Project, is a licensed psychologist with a clinical practice in Ellicott City, Maryland. He offers psychoanalysis and individual psychotherapy to children, adolescents, and adults, and also works with couples and families. He is a Candidate in the Contemporary Freudian Society’s Psychoanalytic Training Institute- DC. Dr. Fielding worked for over 10 years with persistently mentally ill adults in a State psychiatric hospital. He has completed PSI’s Perinatal Mood Disorders Certificate Program. Jennifer Grosman, Ph.D. is the Co-Director of the Center for Maternal Wellness in Washington, DC. She earned her doctorate in Clinical Psychology from the George Washington University and gained certification in Infant Observation from the Washington School of Psychiatry. She is a founding member of the Washington Area Reproductive Mental Health Consortium. She has designed and presented workshops to area OB/GYN and pediatric practices on postpartum depression and maternal mental health. She has led peer support groups for women with postpartum depression and has lobbied Congress in support of postpartum depression legislation. Her areas of interest include perinatal mood and anxiety disorders, mother/baby attachment, infertility, miscarriage, late term pregnancy loss, adjustment to motherhood, and motherhood identity. Raymond S. Hoffman, MD is a psychiatrist and a Training and Supervising analyst in the Psychoanalytic Training Institute of the Contemporary Freudian Society. He is the Division Director of Mental Health and Substance Use at Anne Arundel Medical Center in Annapolis, MD. Cynthia Mendelson, Ph.D. is a licensed clinical psychologist with a private practice in Lutherville, Maryland, where she conducts individual psychotherapy and psychoanalysis with adults and adolescents. She is a Supervising and Training Analyst in the Psychoanalytic Training Institute of the Contemporary Freudian Society. Dr. Mendelson has taught doctoral psychology students at Loyola University Maryland, as an Affiliate Faculty member. Donna Roth Smith, LCSW, is a psychotherapist/psychoanalyst in NYC where she sees infants & toddlers and their families, children, adolescent & adults as well as couples in her clinical practice. She is especially interested in reproductive & maternal mental health, high risk pregnancy & parents of NICU babies. She has been a consultant to therapeutic & research nurseries, Faculty at Bank Street Graduate School, Infant & Parent Development & Early Intervention Program, JBFCS Institute for the Clinical Study of Infants, Toddlers & Parents & facilitated groups for mothers & babies at NY Psychoanalytic Pacella Parent Child Center. She is a Supervisor & Faculty at the Anni Bergman Parent-Infant Program, Training Analyst (Child & Adult) at The Contemporary Freudian Society & supervisor & faculty at the Institute for Psychoanalytic Training & Research (Child & Adult). Emily Wagshal, LMSW. Emily is a Licensed Master of Social Work. She is a graduate of Washington University in St. Louis and received her M.S.W. From New York University. Prior to doing community outreach for the SPRING Project, she was the Assistant Director of The Jewish Women’s Foundation in New York and the Community Outreach Coordinator for The Hospital for Joint Diseases. Emily has two school-aged daughters and is committed to issues regarding maternal mental health and well being.